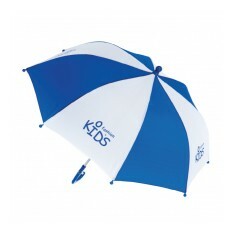 Keep the little ones safe and dry with our promotional Children's Umbrellas. 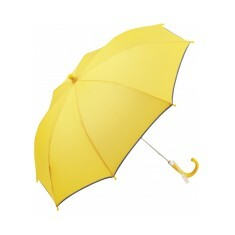 All of our children's umbrellas are designed to be as safe and practical as possible. We hold a good range of personalised children's umbrellas that have everything from PVC windows to beautiful vibrant solid coloured canopies. 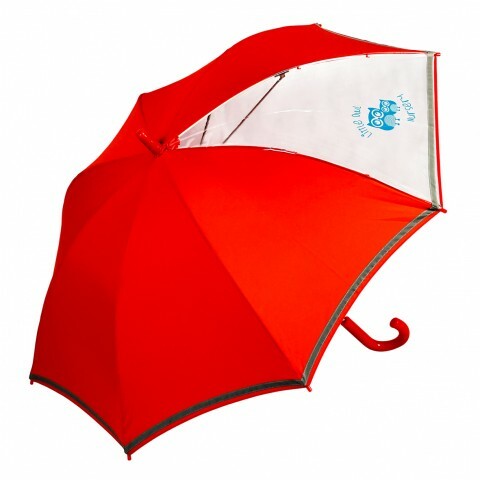 Brilliant for day trips out with the primary school or retailing to help keep the kids dry through those April showers, our customised children's umbrellas are all made from high quality materials to help ensure you have a branded item that will last the Great British weather. Being accident prone, there is a reason children usually aren’t trusted with anything that might be harmful. With this in mind, we made an umbrella that is designed to keep them out of harm's way called our FARE Children’s Safety Umbrella. Reflective piping, smooth rounded tops and tips and with a plastic handle, this umbrella is great for keeping track of the children and making sure the umbrella is as safe as possible. As a fun alternative, our Krazy Kids Umbrella comes with a PVC panel for extra added fun which can be printed to as well. 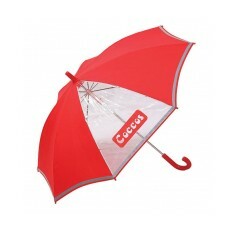 Great alternative to solid coloured umbrellas that are good fun for children to play with. Give our sales team a call and we can draw up free of charge visuals for you to find out what your design would look like when branded. Fibreglass ribs. Chrome pole. Safety opening system. Name tag in handle. The next time you go for a stroll to the park with the children, take our bran.. Built in safety features - rounded tip & non slip opening mechanism. 7 colour choices. 50cm rib length. Fibreglass ribs, 8 panels, 8mm steel pole. Polyester fabric.C..